3 Bedroom Semi Detached House For Sale in Maidstone for Guide Price £390,000. A simply stunning 1950's semi, extended on the ground floor to suit modern day living. This house simply ticks all the boxes with a gorgeous 19' kitchen/diner which overlooks the southerly aspect garden. Just off the kitchen/diner is the useful utility room, WC and access to the garage. 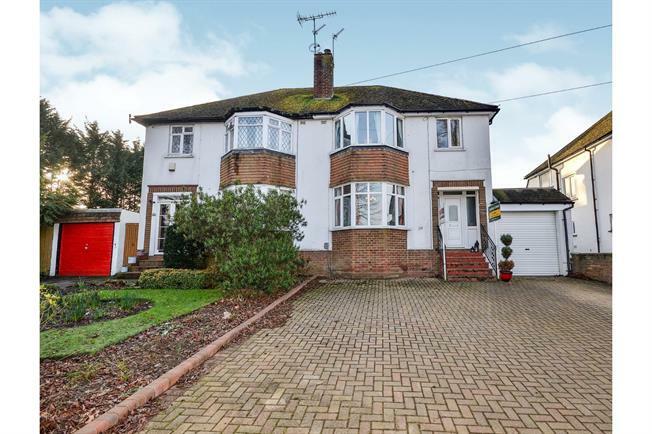 There is a generous entrance hall and a lovely bay fronted living room to the front. The 1st floor includes 3 spacious bedrooms and a well equipped family bathroom.